NG7 Zivan 24 - 120 V Chargers	There are	4 products. The Three-phase Chargers NG7 are innovative devices with extraordinary versatility, reliability and efficiency. Different software may be installed in order to change the charging features and to adapt them to every kind of battery. The high power and efficiency of these chargers assures the user of considerable energy savings with subsequent economic benefit. Thanks to this advantage, the investment in High Frequency products is quickly amortized. 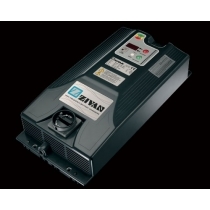 The Zivan chargers are classified amongst the products with the best quality/price ratio on the market.